The N800 is a beautiful and small internet tablet. It has lots of connectivity features, including WiFi and Bluetooth. The most attractive part of the tablet is the simple interface, you can easily control the device by using its touchscreen. 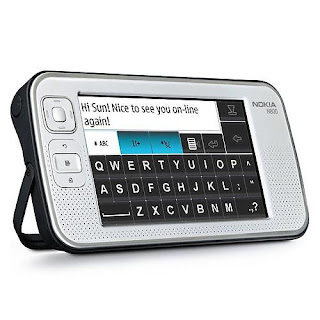 The Nokia N800 has 128MB memory, which you can expand to 2GB with an SD memory card. You can buy the Nokia N800 Internet tablet for about 399 EUR.